A busy stretch of Connecticut Avenue in Chevy Chase is set to become even busier -- Montgomery County Council Tuesday approved a new development plan for the neighborhood. The plan was approved 8-1 by county council, and will bring the development of a mixed-use community to Chevy Chase Lake East, including new housing and retail. The development is nestled between Jones Bridge Road and East/West Highway. Some Maryland residents are less than enthused about the possibility of further traffic gridlock. "You're still having more traffic, more cars, more people, more... stuff," Lee Vasquez said. "It takes me about 15 minutes to get two miles." 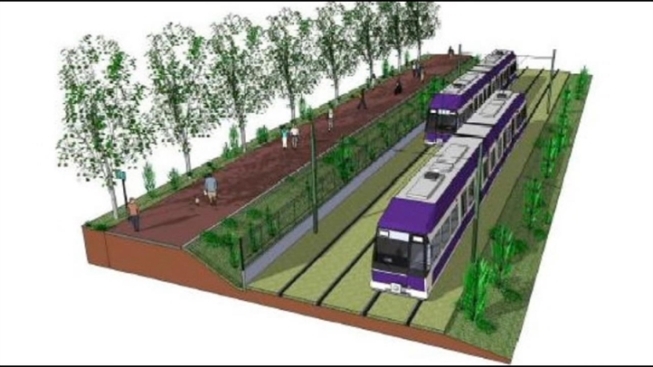 The plan is modeled to function in hand with the Purple Line, a modern streetcar system planned to run between Bethesda and New Carrollton Metro stations. Council approved the plan on the condition that other redevelopment plans can't start until the Purple Line is built -- funding for it isn't even in place yet.